Observation - Crustose Lichen - UK and Ireland. Description: Grey crustose lichen firmly attached to a gravestone in a village churchyard. 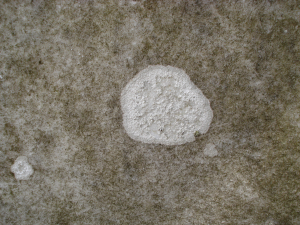 Grey crustose lichen firmly attached to a gravestone in a village churchyard.